croll back up to restore default view. Tom Petty, the Rock and Roll Hall of Famer who was among America’s greatest songwriters and sold millions of records worldwide as leader of the Heartbreakers, died today at Santa Monica UCLA Medical Center after being found unconscious and in cardiac arrest at his home in Malibu. A family spokeswoman, publicist Carla Sacks, confirmed his death to the Los Angels Times. The cause of death was not announced. He was 66. Several media outlets on Monday erroneously reported Petty’s death, citing CBS News, and issued corrections. TMZ originally reported that Petty was brain dead at the hospital and was removed from life support. The site later said Petty was alive but not expected to survive the day. He and the Heartbreakers just finished their 40th anniversary tour with a well-reviewed three-night stand at the Hollywood Bowl last week; the final show was Monday. 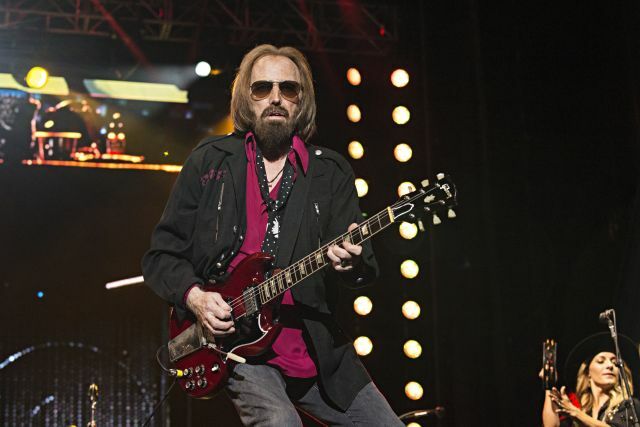 Petty had been quoted as saying it would be the last major tour for the Los Angeles-based group but that it would continue to play concerts. Among Petty’s handful of solo albums, more than a dozen with the Heartbreakers and two with the Traveling Wilburys, he won three Grammys and has sold more than 33 million albums in the U.S. alone, according to the RIAA. Nine of those releases are platinum and 16 are gold. The Heartbreakers’ biggest seller remains the 1993 Greatest Hits album, which is 12 times platinum. The band’s most recent studio album, 2014’s Hypnotic Eye, was its first No. 1 on the Billboard 200 chart among eight top 10s. Petty’s best-known songs include “Free Fallin’,” — a top 10 pop single from his 1988 solo record — along with the top 20 singles “The Waiting,” “Don’t Come Around Here No More,” “You Got Lucky,” “You Don’t Know How It Feels,” “I Won’t Back Down,” “Mary Jane’s Last Dance” and “Jammin’ Me,” a track written with Bob Dylan from the Heartbreakers’ 1987 LP Let Me Up (I’ve Had Enough). Classic tracks that weren’t hit pop singles include “American Girl,” “You Wreck Me” and “Runnin’ Down a Dream,” which was one of more than 10 No. 1 singles on Billboard’s Mainstream Rock chart. Petty also was part of late-’80s supergroup Traveling Wilburys alongside Dylan, George Harrison, Roy Orbison and Jeff Lynne, which released two albums and had five top 10 rock singles including “Handle with Care” and “Last Night.” Orbison died a month after the first album’s release, and the second was recorded as a quartet. Petty was born October 20, 1950, in Gainesville, FL, and got the rock ‘n’ roll bug early after hearing Elvis Presley on the radio. He met the King in the early 1960s when his uncle took him to the Presley movie set where he was working. Petty would go on to become rock royalty, hobnobbing with legends and with his band backing tracks or albums by such acts as Dylan, Johnny Cash and the Byrds’ Roger McGuinn. 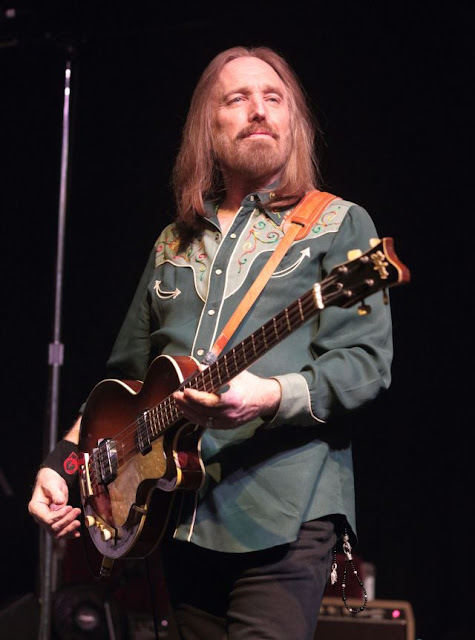 Since 2005, Petty also had hosted an XM Satellite Radio show called Tom Petty’s Buried Treasure, which showcased his trademark humor and specialized in often-overlooked “rock, rhythm and blues” — much of it from his personal collection. He offered tidbits of information about many of the records and liked to play the original versions of songs whose covers are well known. Its popularity led to SiriusXM launching the dedicated channel Tom Petty Radio in 2015. He curated and recorded bumpers and interstitials for the station, which plays music from throughout his career along with songs by artists who influenced him. Tom Petty and the Heartbreakers were formed in 1976 after the breakup of the Gainesville, FL-based Mudcrutch, which featured Petty and two future Heartbreakers: guitarist Mike Campbell and keyboard player Benmont Tench. The band enjoyed critical success with its 1976 self-titled debut but broke wide with its third LP, 1979’s Damn the Torpedoes. It spent seven weeks at No. 2 in the U.S. — kept from the top spot by Pink Floyd’s The Wall — and spawned the hit singles “Don’t Do Me Like That” and “Refugee.” They and dozens of other songs have become staples on classic rock radio. The band was inducted into the Rock and Roll Hall of Fame in 2002 and remained a popular concert draw. The band followed the success of Damn the Torpedoes with 1981’s Hard Promises, which featured “The Waiting,” “A Woman in Love (It’s Not Me)” and “Insider,” a duet with Stevie Nicks of Fleetwood Mac. She and the Heartbreakers would have a huge hit that summer with “Stop Draggin’ My Heart Around,” a song Petty wrote and the Heartbreakers recorded that ended up on their 1995 six-disc box set Playback. Also included in that six-disc set was the band’s version of “Ways to Be Wicked,” which was the first single by the Maria McKee-fronted L.A. band Lone Justice in 1985. Petty was famous for his battles with record companies over the years, having lost the rights to the Mudcrutch recordings early in his career. The release of Hard Promises was delayed when his distributor, MCA, wanted to boost the album’s list price by a dollar over the standard $8.98. Two other star acts’ records had gotten that price hike that year, but Petty was adamant and stuck to his principles. After Petty threatened not to release the album, MCA relented. Petty’s star power was cemented with Hard Promises, and he followed it up with the LPs Long After Dark (1982), whose lead single “You Got Lucky” featured a futuristic video that was in heavy rotation on MTV, and the off-brand Southern Accents (1985), on which Petty collaborated with Dave Stewart of Eurythmics and included the sitar-drenched “Don’t Come Around Here No More.” Its Alice in Wonderland-inspired video was an MTV smash and was nominated for five awards including Video of the Year at the second annual VMAs. During the recording of Southern Accents, Petty became enraged while listening to a playback of the song “Rebels” and punched a wall, breaking numerous bones in his left hand. He said in interviews later that the bones were “shattered to powder.” The album had been planned as a two-disc set, but that was scrapped amid his long recovery. Less than a month after the April 1987 release of Let Me Up (I’ve Had Enough), Petty’s house in Encino burned to the ground in an arson fire. He recalled having to flee the flames with his family and being left with few possessions. Firefighters were able to save his basement studio and the master recordings stored there. After a lackluster critical and commercial responses to Let Me Up (I’ve Had Enough), Petty would roar back the following year. Fueled by his biggest hit single, “Free Fallin’,” his first solo album Full Moon Fever became a smash. Rock radio latched on to the record, which was his first produced by Lynne, who had been at the helm of 1987 Harrison’s comeback album Cloud Nine. Petty was recruited along with Dylan and Orbison for ultimate supergroup the Traveling Wilburys. Their first disc, Volume One, was released six months after Full Moon Fever and went on to snag three Grammy nominations in 1989 — including Album of the Year — and a win for Best Rock Performance by a Duo or Group. Petty also scored an Album of the Year Grammy nom that year for Full Moon Fever — both discs lost out to Bonnie Raitt’s Nick of Time — and would rack up a total of 23 Grammy nominations throughout his career. More solo and Heartbreakers records appeared during the 1990s and 2000s, though none reached the sales numbers for Full Moon Fever, which is five times platinum. Along the way, the band received a star on the Hollywood Walk of Fame in 1999. Petty also received the Billboard Century Award in 2005 and was the Recording Academy’s 2017 MusiCares Person of the Year. In 2007, Petty and the band were the subjects of Runnin’ Down a Dream, a sprawling, four-hour documentary by Peter Bogdanovich that premiered at the New York Film Festival. It went on to win a Grammy for Best Long Form Video. Around that time, Petty reunited the members of Mudcrutch — Campbell, Tench, guitarist drummer Randall Marsh and guitarist Tom Leadon, brother of Eagles co-founder Bernie Leadon, with Petty on bass — for a self-titled album and tour of small venues, including the Troubadour in West Hollywood. The group would reassemble for the 2016 album Mudcrutch 2 and tour again. Petty was a regular on the talk-show circuit, appeared on Saturday Night Live more than a half-dozen times starting in 1979 and recurred as the voice of Lucky on Fox’s long-running animated series King of the Hill. His songs have been used in countless films and TV shows including The Office, Jerry Maguire and Fast Times at Ridgemont High and most recently Disney/Pixar’s Cars 3, ABC’s The Goldbergs and Showtime’s Billions. He and the Heartbreakers also did an episode of VH1 Storytellers in 1999 and played a standout defiant version of “I Won’t Back Down” on the post-9/11 telethon A Tribute to Heroes. Petty is survived by his wife, Dana; daughters Adria and AnnaKim, from his earlier marriage to Jane Benyo; and a stepson, Dylan. Funeral arrangements were pending.